Sol Agave was the first ever upscale Mexican food truck. Serving authentic Mexican flavors! Now, visit Sol Agave restaurant! Invited friends of ours based on previous experience. The food was good as normal, but the service was very slow, and lighting was so poor no of us could read the menu. Asked for a candle or something but none available. Also had to ask several times for water for the table. Hope this was a one off experience! Food was excellent. Fresh ingredients and well seasoned dishes. What a most excellent find, through Yelp and Open Table. We live in this neighborhood, and are so happy to have found Sol Agave. The chef here is absolute excellence, putting his own spin on Mexican dishes. This is our new favorite Mexican restaurant.....as a third generation SoCalifornian with the myriad of Mexican restaurants, you know that's saying alot. Try them, you for sure won't be disappointed. Delicious meal as always at Sol Agave. They have our favorite margaritas and bean dip. My only disappointment this time was on the amount of time it took before a waiter even approached our table. We sat for 5-10 minutes waiting to order a drink and finally had to flag the hostess to have someone take our order. This has never been the case in the past. Service has always been prompt before. Went to Sol Agave for the first time and started with the guac and chips and then had the carnitas taco/chicken mole taco combo and the carnitas plate. All were top notch. Finished with the tres leches cake even though we were totally full and saved half for home. Nice to have a great restaurant like this around! What an incredible place! Had a great dinner and a fantastic experience! Great take on Mexican. Always something new to try. Excellent experience. Excellent food. You get what you pay for. Delicious seafood dinners. 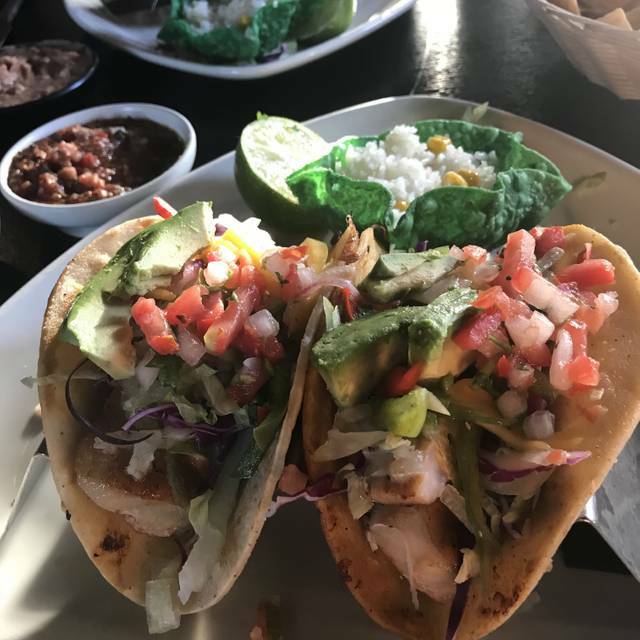 We love to bring friends to Sol Agave because we are always impressed with the food and love the rags to riches story of its humble beginnings. This time we ordered the two classic specials as well as the carnitas dinner. One ate every bite, the other three diners happily took home left overs. Our friends were very impressed with the food. We will continue to introduce others to this wonderful Mexican restaurant. Conversation. Food is average but very expensive for what you receive, making the value poor. The one bright spot was our waiter. He made it fun. Food was very good but eating outside beside my car was not the view you want while eating. Delicious food! Our waiter was in training. He did a great job! Just needed more water. Second time here and we will go back. Very authentic Mexican menu. Good margaritas. The food remains very good at Sol Agave. We felt a little rushed this time, which is not the worst thing, as the restaurant was packed (including a very large and active table right behind us). Honestly, not too much a restaurant can do about that but usually we feel like we are offered time to relax and enjoy our meal and that wasn't really the case this time. Still, great food... good service. Thankful this restaurant continues to do well and exist in our neighborhood. We dined at Sol Agave to share in a farewell dinner before our daughter returns to school. Unfortunately, the service was slow, very slow. Along with our slow service we had to wait fifty minutes for our meals of chicken tacos. We dined at 6:00 pm on a Monday night. There were approximately seven tables and two waiters. Maybe, the restaurant was short on staff? The meal was tasty but not worth the extremely long wait. Our family has dined at Sol Agave several times. Fortunately, our prior dining experiences were pleasant. Excellent food-atmosphere is fairly nice as well. The food and presentation were great but it was too loud and reallly difficult to hold a conversation. I would opt to eat outside next time. Would still recommend it. 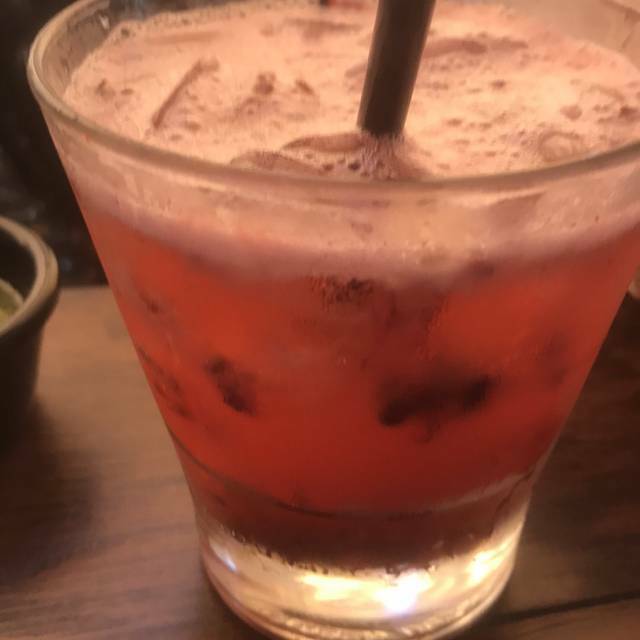 Margaritas were very good. Food was really good as well. Service left a bit to be desired as we waited 10-15 mins a few times for our waitress to pass by our table. But the food and drink are really good. 1st time there. Excellent food and service. Very loud inside. Will go back but ask for patio seating. Quick friendly service, food was excellent, ambience nice hot spot mexican. I look forward to coming back. The service was excellent. The bartender (Lindsey) is always wonderful and fun to talk with. The food, as always, is delicious. Usually the jalapeno soup is a must, but because of the hot weather, had to pass this time around. Great ambiance and very fun. Always amazing great food !! Everyone is our family loved it !! Great food and great service. Our favorite. Almost without exception is the service on par with the excellent food and margaritas. We celebrated my son's 18th birthday --- his restaurant of choice. Every bite was perfection. We drive by at least 3-4 good Mexican restaurants to get to this great one. Tried Sol Agave for the first time on 7/20/18. Our reservation was for 6:30 and we did not have to wait. Started with Patron Mango margaritas. Very fruity and refreshing. 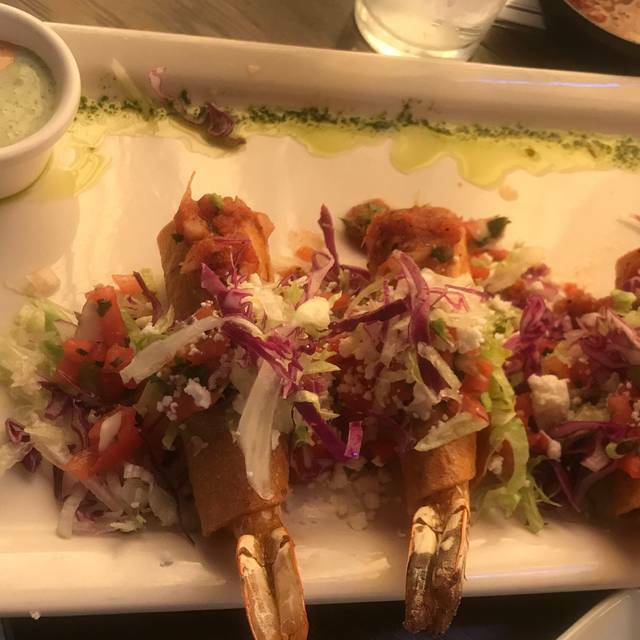 The shrimp taquitos were next. Fantastic! A large whole shrimp wrapped up with a great sauce. My husband had the Tacos de Hongo. This is one of their specialities and it was great. So was my Pollo Relleno. 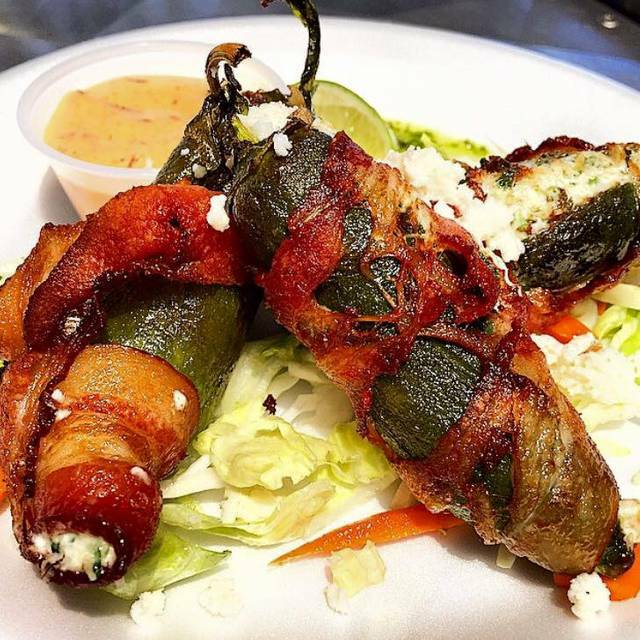 The chicken breat is wrapped around a chili relleno. Wow, so flavorful. Our only complaint is the noise level. Lots of hard surfaces combined with music makes people talk loud. Next time we'll sit outside. Great spot tickets away in a small shopping center in SJC. Everyone in our party of four was satisfied. Good guac, great carnitas and margaritas. Very helpful waiter. Not fancy, but nice ambiance. Awful experience. Food was close to inedible. Service was worse. So impersonal. Went in for brunch. Food took about 45 minutes. No management presence. Host was rude. Got our coffee 30 minutes after it was ordered because they ran out of coffee cups. Huh? I wouldn't go out of my way to dine here. Far too many amazing Mexican places in the area to waste your money and time here. Very dissapointed the noise level was unbearable and the food was midiocre. As always, food is great, and service is perfect! A local gem for us here in San Juan Capistrano. 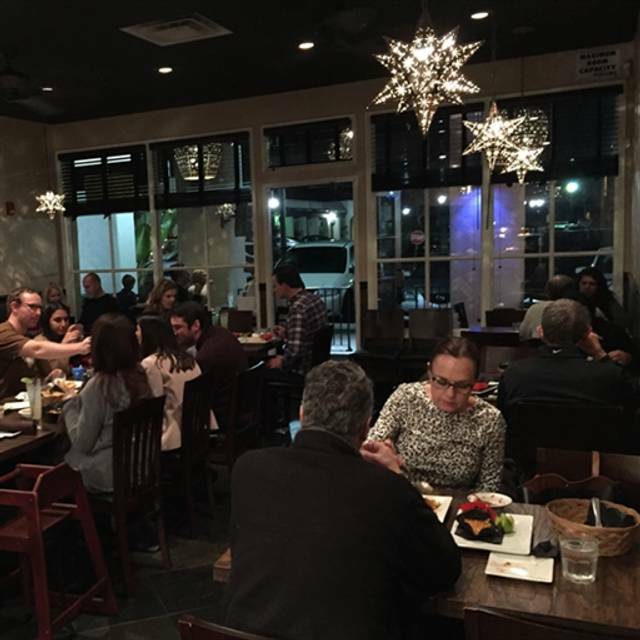 Great food & great service make Sol Agave a great dining experience. Lario and Raphael took great care of us. We love our dines at SA and always look forward to the next visit. Been here many times - always good. Service was a bit lacking this visit. We have seen this restaurant for some time but recently friends recently had dinner there and were very impressed. 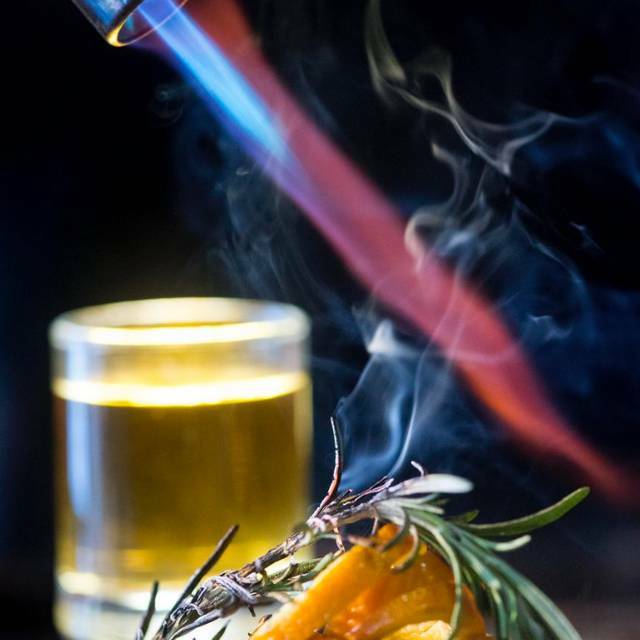 We tried it and it is a very good Mexican Modern restaurant. Great food but we were being far too hurried along. Plate sizes are getting smaller over time. We’d barely taken a bite of appetizer before our mains showed up. Take a few less covers and show a bit more class while turning tables.